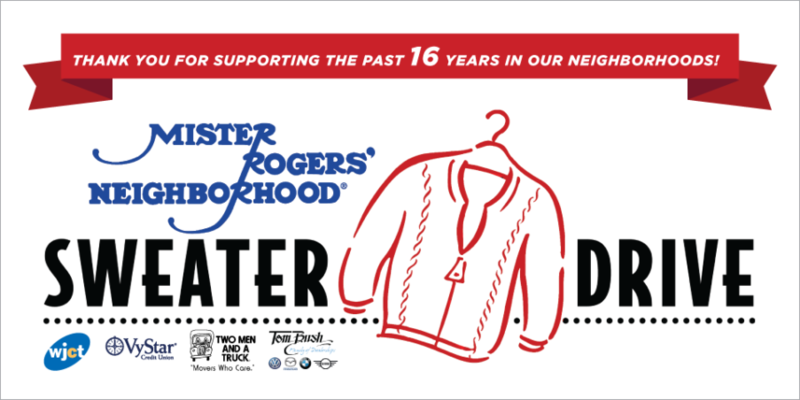 WJCT, VyStar Credit Union, Two Men and A Truck, and Tom Bush Family of Dealerships are honoring the memory of Fred Rogers with the annual Mister Rogers’ Neighborhood Sweater Drive. The drive runs through November 30 and accepts gently used sweaters, jackets and blankets. Contributions will be donated to a number of designated nonprofits in Duval, Clay, St. Johns & Nassau counties. Items may be dropped off at WJCT Studios as well as all VyStar Credit Union, Two Men and a Truck, and Tom Bush Family of Dealerships and locations. 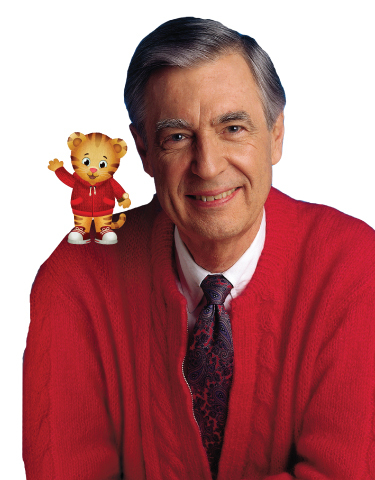 Click here to download and distribute the Mr. Rogers’ Neighborhood Sweater Drive Flyers around your own neighborhood! Click below for a list of participating VyStar locations. Our school is participating and I was trying to find a list of nonprofits where the donations will end up. Where can I find this? Our apologies for the delayed respomse. Here is a list of nonprofits to which the sweaters are donated: Clara White Mission, Sulzbacher Center, Salvation Army, St. Vincent’s Mobile Outreach Unit, Duval county Police Department Re-Entry Center, St. Marks Episcopal Church and any others that call and ask for help!